Ministry of Labour & Employment has made clarification about Maternity Leave Incentive Scheme as there are some misconceptions about the scheme in some section of media. The current stage of proposal is that Maternity Benefit scheme has been approved / notified. However, it is still in the process of getting necessary budgetary grant and approvals of the competent authorities. Certain reports stating that this scheme will be funded from Labour welfare cess is also incorrect as no such cess exists under the Ministry. Maternity Benefit Act, 1961 only applies to establishments which employs 10 or more than 10 persons in factories, mines, plantation, shops, establishments and other entities. In case the proposed scheme gets approved and implemented, this would ensure that every women in the country has an equal access to employment, adequate safety and secure environment. Even the women across the country shall continue to bear the major share of household work as well as child care. All these work places would be more and more responsive to the family needs of working women. 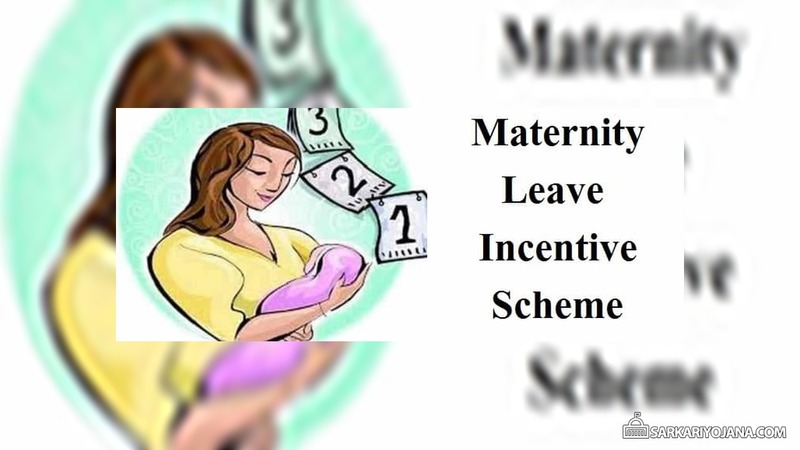 Maternity Leave Incentive Scheme of Central Govt. Any company, factory, shop, mines which has more than 10 employees has been covered under the Maternity Leave Incentive Scheme. Maternity Benefit Act of 1961 will regulate the employment of women at their working places before and after child birth and to provide them with certain other benefits. This act was amended through the Maternity Benefit (Amendment) Act 2017. In this amendment, the central govt. has increased paid maternity leave to women employees from 12 weeks to 26 weeks. The implementation of this scheme is good in public sector but there are some reports which stated that its implementation is not good in private sector and contract jobs. Private sector establishments are not encouraging women employees as if they are employed, then employers would have to provide maternity benefit to them, particularly 26 weeks of paid holiday. Ministry of labour and employment is getting complaints from various quarters that when employers comes to know that their women employee are going to apply for maternity leave, then their contracts are dismissed on some flimsy grounds. So, govt. is working on an Maternity Leave Incentive scheme where 7 weeks of wages would be reimbursed to employers who employ women workers with wage ceiling upto Rs. 15,000 and provide maternity leave (paid) for 26 weeks subject to certain conditions. An estimated amount of Rs. 400 crore is necessary for the financial implication for Govt. of India for implementing the proposed incentive scheme. This clarification was necessary as certain reports are coming before the labour ministry on how the extended maternity leave is becoming deterrent for female employees who are asked to quit or retrenched on flimsy grounds before they go to the maternity leave. Maternity Leave Incentive Scheme will assist employers in paying paid leave to women which will encourage employment for women in public as well as private sectors.